It’s only been a matter of weeks since Britain’s Foreign Secretary Boris Johnson shook hands with a Libyan Coastguard crew, praising their efforts in keeping migrants confined to North Africa. Fresh allegations of abuse, however, show what the Boris seal of approval is really worth. The armed guard, widely accused of complicity in people smuggling, was awarded €100 million ($115million) from the European Union in 2017. Critics believe the EU has simply outsourced the job of protecting its vulnerable underbelly to a rogue force. Events in recent days suggest the money has done little to transform the controversial body into a professional unit. 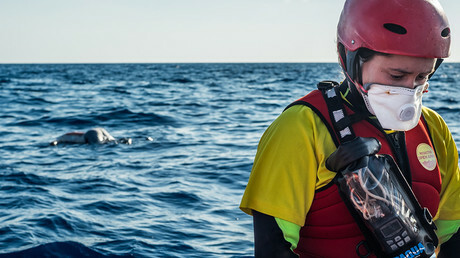 Charities operating in the Mediterranean have revealed how five people, including a small child, died this weekend when the Libyan coast guard – backed by the EU – waded in on a rescue mission. Officials have been accused of attacking rescuers and endangering lives. Johnson, Britain’s gaffe-prone foreign secretary, praised the guard in August and shook hands with the crew. This formed part of attempts to mend relations with Libya and publicly declare his backing for the rickety Government of National Accord (GNA), despite an assortment of militia marauding over of large swathes of the ravaged country. 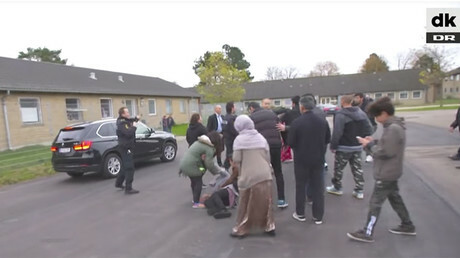 On Monday, using equipment funded by Europe, the coast guard allegedly attacked people struggling in the water, sparking mass panic. A statement from German Sea Watch NGO described how the Maritime Rescue Coordination Centre (MRCC Rome) had sent migrants on to a sinking inflatable boat. “The Sea-Watch 3 crew arrived on location at about the same time as a Libyan Coast Guard patrol boat and started boarding of people in distress,” the statement said. The Libyan ship took off with inappropriate speed while people were still latching onto the side, being dragged by their vessel. After Sea-Watch had already repeatedly alarmed the Libyans about their life-threatening practice, an Italian Navy helicopter had to intervene, briefly stopping the Libyan ship to prevent further deadly manoeuvring. Charities in the Mediterranean often arrive close to boats in distress, many already sinking in international waters. In order to ensure lives are saved, calm must be kept at all times. Many of those in the water will not be able to swim. Sea Watch slammed the European Union as well as politicians like Johnson who have backed the coastguard. “Probably, nobody would have had to die today if only we had the possibility to operate reasonably in a calm environment. 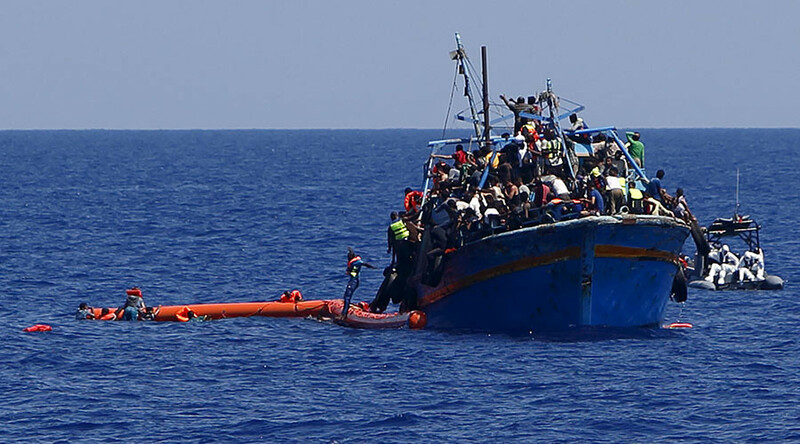 Instead of coordinating the rescue operation with the vessels present such as a ship of the French Navy, the Libyans tried to take as many people as possible back to Libya – and accepted the loss of several lives,” said Sea Watch head of mission, Johannes Bayer. “These deaths have to be blamed on the Libyan Coast Guards who have obstructed a safe rescue with their brutal behavior. The responsibility is on the side of the European Union, however, who trains and finances these militias. The incident took place about 30 nautical miles north of Tripoli. International waters, however, are considered to begin 12 miles off any coast. Despite the huge cash injection and political back-slapping, tragedies are continuing to surface. The bodies of 26 women, believed to be Nigerian, were found in the Med this week aboard a migrant boat. They were transferred to Salerno, Italy, for post-mortem examinations. The EU deal with the Libyan Coast Guard is designed to stop migrants risking their lives at sea. However, human rights groups around the world have called the deal “deadly,” insisting Libya is not a safe place to abandon people. A total of 58 survivors are now safe aboard the Sea-Watch 3.